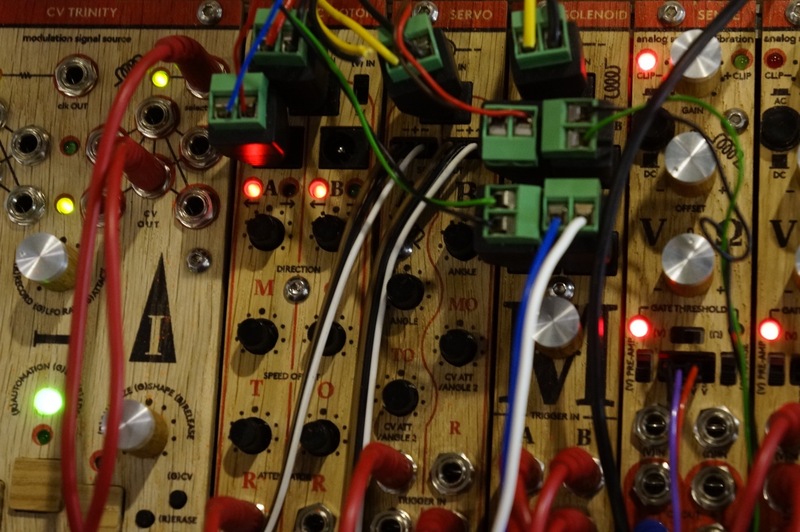 Think of it as the real world interface for your Eurorack modular. The boys from Brno have been busy. After a range of desktop modules (one that continues to grow), they’ve quietly put together a complete modular system this year. With a bunch of new gear announced at the beginning of the year, you might have thought they were getting some much-deserved rest. Not so. Among other introductions this week, they have unveiled three modules that work with motors, and one that takes sensor inputs. Together, these can let your modular make stuff happen in the physical world. And they showed off just what that could mean in their Messe booth, to spectacular effect. Toothbrushes bang percussion. 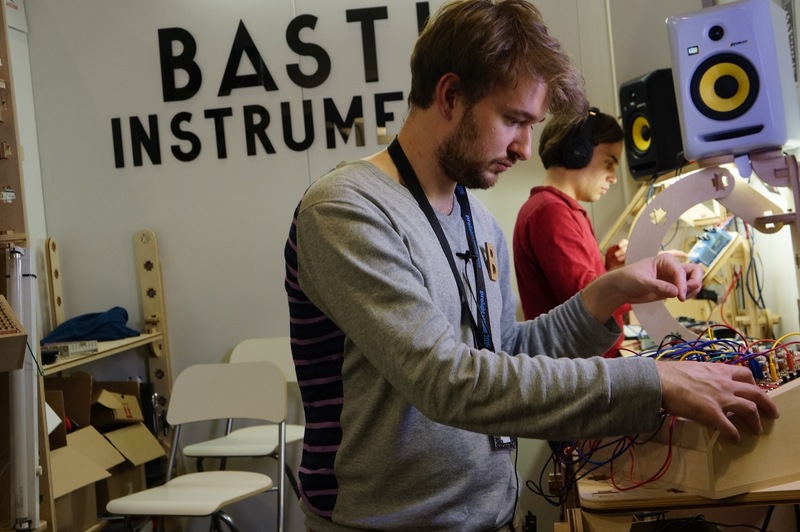 Solenoids tap out drum patterns and strum a guitar. There are lots of options here, too. Different modules are geared for different motors, including the frequently-found hobbyist modules; all have some sort of control (like the speed and direction on the DC Motor). In short, your modular can now “play” the physical world. SENSE can convert and amplify signal from almost any type of analog sensor into control voltage and gate signals. You can use sensors with variable resistance (light dependent resistors, body contacts, water contacts etc.) or sensors that already output voltage (pulse sensor, accelerometer, inductors, piezo etc.) amplify them and calibrate them in the way to have suitable control voltage and gate output signals. But I love that the booth was so inventive, recreating the guys’ workbench in Czech and built out of incredible modular wooden furniture, hand-created by a neighbor from Brno. They said that setup was so much fun, they actually spent time playing with different setup options. It is, simply, the best music trade show booth ever. Congrats, guys. Next I’m keen to see what people do with these modules.